Andyman takes home the prize! 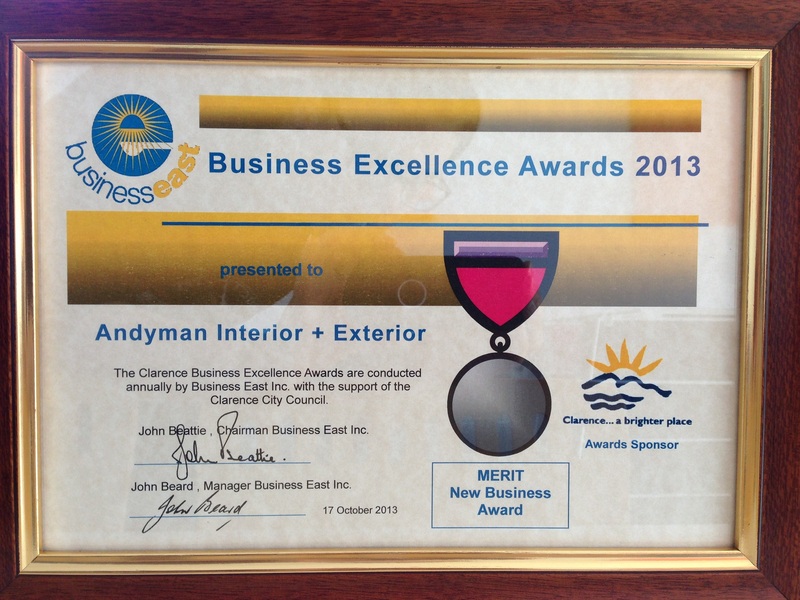 We are very humbled and completely thrilled to have come in Runners Up for the New Business award in the Clarence City Business Excellence Awards for 2013. The presentation took place in the gorgeous Rosny Barn on Thursday 17 October. We were joined by our Andyhand Stephen and his wife Bev (Andy’s mum) and many brilliant local business people. It was a fantastic evening and we are honoured to have been a part of it. Many thanks to Clarence City Council, Business East, Eastlands, Shoreline Hotel, WorkCover Tasmania and Accru for putting on the event. Thanks, too, to all of you who have helped us on this journey so far, and an extra huge thanks to the special Andyfan who nominated us for the awards. Congratulations to all nominees and award winners!